Wheatgrass is the young grass of the common wheat plant called triticum aestivum, an incredible edible grass that can be juiced into a “wheatgrass shot,” or milled down into a fine green powder that’s used to create a multipurpose product for both humans and animals. My initial thoughts on wheatgrass was that it is raw, really raw in fact. 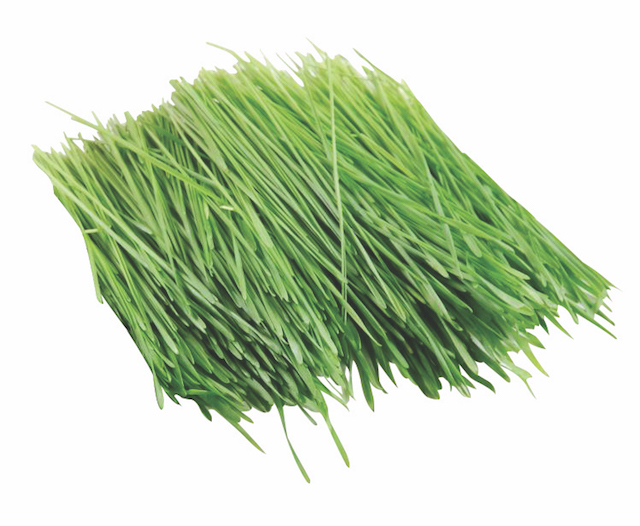 But with its rich supply of chlorophyl, wheatgrass helps to fight free radicals ravaging our bodies. That's a good thing. Lots of testimonies and studies have emerged over the years on the benefits of consuming raw wheatgrass juice for health conditions including the common colds and coughs, constipation and colitis, skin conditions, infections and inflammations. It is also increasingly being researched for heart diseases and cancer. Wheatgrass is also a natural source of vitamins A, C, E, K and B; minerals and enzymes including iron, magnesium, calcium, potassium, zinc and amino acids. 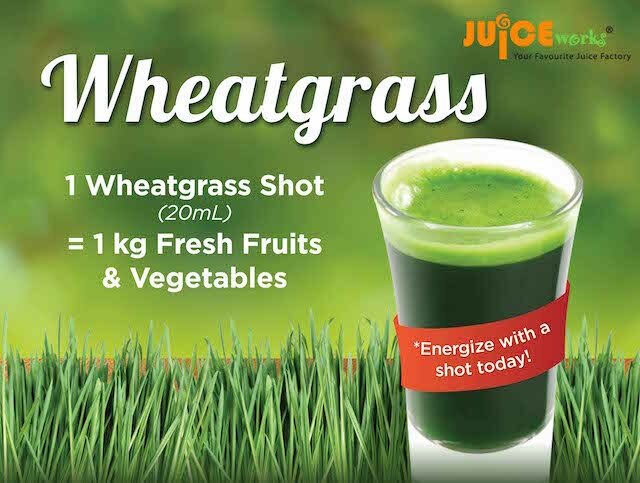 Juice Works is the first in Malaysia to offer pure and wholesome wheatgrass that are freshly harvested and juiced on the spot upon orders, and served in small shots with a wedge of orange to balance its slightly bitter taste, or added into a juice or smoothie. An image from 2012, read about it here. One may think it's a good idea to head straight for a couple of shots of wheatgrass, but from what I was told it's a good advice to go for a slow and steady start. Because wheatgrass is so potent, all you really need is just two ounces a day to enjoy its many benefits. It’s also best to take it on an empty stomach where it could be better absorbed. 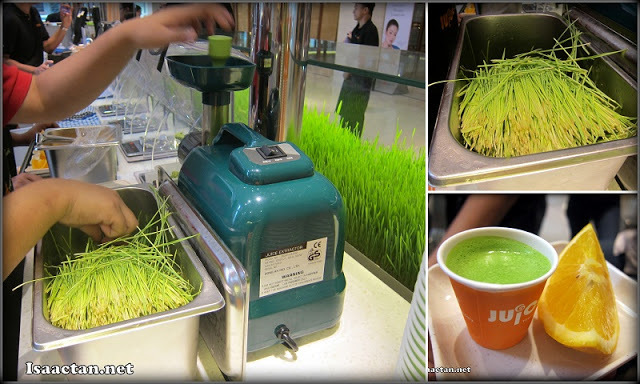 The wheatgrass offered by Juice Works Malaysia are grown and harvested right before the customer to preserve the rich supplies of living enzymes in each blade of grass. Head on to your nearest outlet today and try out this superfood! no taste any yet now. shall go there to purchase one try. I have a complicated relationship with wheatgrass. There are times where I love it and times where I don't. Good for an immune boost though! I like juiceworks drink.. Yet to try out the wheatgrass.. I am a BIG fan of Juice Work but I never try this before, maybe should try out next time hehe!